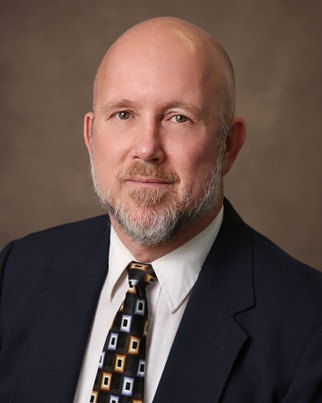 Jim brings 20 years of experience to Statesboro. Jim Kress, LPC, CADC II was hired in 2017 to supervise our Outpatient Program and to assist in its expansion. Over the last year, Jim has infused Willingway’s outpatient treatment with new staff, new programs, and new ideas, all while maintaining Willlingway’s tried and true approach to treating alcoholism and addiction. Our alumni and community relations coordinator Emily J. McFarland recently spend some one-on-one time getting to know Jim and learning more about what WW Outpatient has to offer. EM: Tell us a little bit about yourself and your professional background. JK: I have worked in the treatment field in many different arenas for about 20 years, having graduated with my Master’s from Florida State. I’m originally from Buffalo, NY, but my family moved to Florida when I was six years old and I ended up spending most of my life there, before moving to Georgia. My wife is a “Southern Girl,” so several years back we relocated to Effingham. I worked with Gateway, the Community Services Board, and then spent 11 years working for the Department of Corrections. And most recently I have been with Willingway for a little over a year. My wife and I have three beautiful children and a sweet but rambunctious dog named Peanut. EM: What was your role within the Department of Corrections? JK: It was an interesting job. I was a therapist in a probation office where we had folks that were mandated by the court to take part in assessments or treatment as a condition of their supervision. I performed assessments on those individuals and would decide what type of treatment was needed. I often made referrals to outpatient programs and other interventions, and sometimes even mental health treatment. The goal was to determine on the front line whether or not the patient needed treatment and, if so, which level of care would be appropriate. EM: How did you gravitate towards a career in counseling? JK: I was in the process of getting my Bachelor’s Degree in psychology, but my plan was to go to law school. I had been toying, however, with the idea of pursuing a career in the mental health field and I knew that if I was going to make a decision, I needed some real-life experience. I decided to take a breather between undergrad and grad school and began working as a tech at a facility in Florida. I remember this time of my life with great clarity because it was the first time I was doing hands-on work with patients. So here I am, working at the hospital, and I go into a patient’s room and he’s psychotic. He wasn’t having auditory or visual hallucinations, but he did have some very real issues. The door was closed, the lights were off, and the shades were pulled back. But I went into the room and started talking to him, engaging with him. I considered what I would want if I were in his shoes, which was to feel helped and understood. So this empathic part of me just sort of kicked in and it was the most comfortable feeling. From there I attended graduate school and became a licensed clinician. EM: What do you like the most about working at Willingway? JK: For years I wanted to work at Willingway, largely because of the reputation and the quality clinical work that is performed here. Back when I was working for the state, it just seemed like a pie in the sky sort of thing. But doors opened and I feel very blessed to be a part of the Willingway family. I like the intensive one-on-one counseling that I get to do but I actually have a huge place in my heart for group therapy. I also really enjoy working with the families of the alcoholic or addict. I like being able to connect with them, to show them that they are just as much a part of the recovery process as their loved ones are. I’m very eclectic in the different therapeutic modalities that I utilize and I feel very fortunate to have been given the freedom to do what actually works for the individual client. Treatment at Willingway Outpatient is definitely not just going to meetings. While that is certainly a vital part of sobriety, we also do intensive and varied clinical work on top of the 12-step recovery piece. Personally, I am a fan of Cognitive Behavioral Therapy, so a big part of my approach to treatment is having the client make behavior changes. Because we work with our clients over an extended period of time, it gives us an opportunity to do impactful therapeutic work. EM: Everyday we face challenges working in the treatment field. What are some of the difficulties that you have experienced? 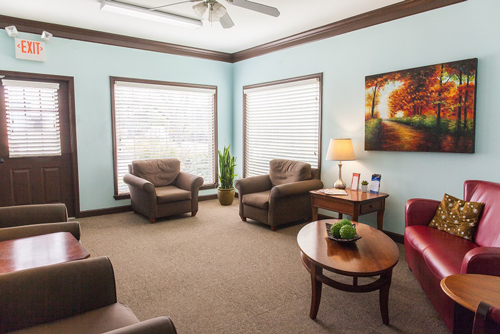 JK: Prior to enrolling in our Outpatient Program, many of our patients have tried other venues to find recovery. Along that path they often collect a number of different labels due to behaviors that they exhibited while actively drinking and using. Some of these diagnoses may be accurate, but some are not. I see a lot of our clients stuck with those labels on them. It’s almost like – you see the sticker on your desk right here? It’s almost like if I were to peel that sticker off I probably wouldn’t be able to get it all off cleanly, there would be some residue left and it would take time and work to remove that which remains. So a lot of times when people come into treatment they carry the residue of their previous diagnoses and will sometimes hold on to them and attempt to use them to defocus from the alcohol and drug treatment. I believe it’s very important to work our way down to the core and to recognize that the primary problem is the alcohol and the drugs. Sometimes there are co-occurring issues as well, but we believe that it is necessary to get our patients down to a baseline free of alcohol and drugs so that we have the opportunity to truly assess what’s going on and then treat the issue at hand appropriately. I love that Willingway’s approach to treatment is not restrictive. We are not anti-medication when appropriate or anti-psychiatric issues when legitimate. When people are actively drinking or using when taking psych meds, it can impact the effectiveness of that medication, or even affect the validity of that diagnosis or that entire method of treatment. This is why it is so important to get that baseline in place. EM: What’s some of the new programing you are establishing in Outpatient? JK: We actually have had quite a bit of expansion in our Outpatient Programming over the last year. We now have an Adolescent Program in which we service teens on an outpatient basis with individual, group and family counseling. Willingway has also begun providing a weekly group for Georgia Southern University students on the GSU campus. This group isn’t so much treatment as it is education and support. The university identifies students that are at risk and refers them to our group, where we are able to provide them with help and information. This allows the student access to care if they need it and also helps them to make changes to their life. We also are able to identify if anyone referred to us is at risk for “slipping down the slope,” so to speak. If a student is having more significant issues, we can refer them to our actual Outpatient Program, or really whatever level of care would be appropriate. Irene Westenberg, CAC II, NDAC, runs our ORS program, which stands for “Opiate Reduction Services”. ORS assists individuals in the reduction of opioid medications as they strive towards full abstinence-based recovery. It is a unique program that provides clinical services and alternative therapies for pain relief to those who have become addicted to or physically dependent on prescribed opioid medications. What makes ORS so special is that we actually address the need to fill the absence created by the lowering or discontinuance of narcotic medications. ORS is a uniquely individualized solution to physical dependence on narcotics to relieve chronic pain. Lastly, we now have a Community Intensive Outpatient Group in the evenings that is separate from the Lodge. This has been specifically designed for people in our local recovery community or those transitioning into it. Outpatient treatment for these individuals tends to be shorter than that for the Lodge and because of that, treatment needs to be more intensive. We have an entire year to work with the men at the Lodge, so naturally group would look different for different populations. Hence the need for a separate outpatient program. EM: What sets the Willingway Outpatient Program apart from others? JK: The tradition of the hospital and the resources we have speak for themselves. Willingway will celebrate 47 years in August and I believe that speaks volumes. It shows a lot of credibility for our approach to drug and alcohol treatment. Moreover, the access to support and to the different levels of care we provide within our continuum is very unique and allows us to seamlessly transition our patients from one phase of their recovery to the next. I am a big believer in what we do here and am honored to be a part of Willingway. By being a part of this thing, I feel as though I am linked up to a wonderful network of professionals that teach me something new each day and continue to inspire me. To find out more about services offered by Willingway Georgia recovery center, contact us 24 hours a day at 888-979-2140, and let us help you get started on the road to recovery.